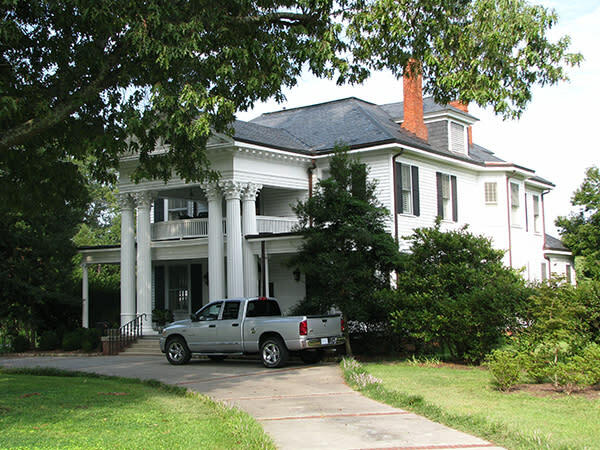 Film productions large and small may find several unique locations in the Johnston County area. 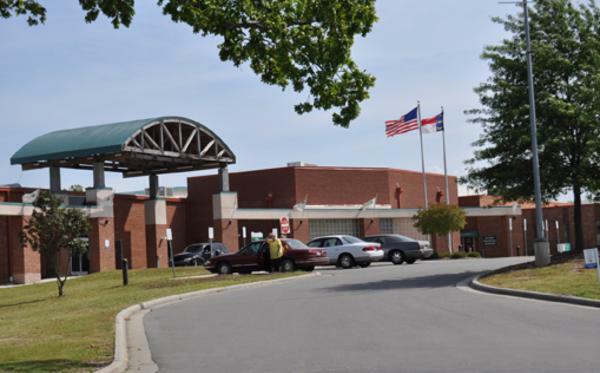 Film productions in North Carolina continue to be great economic drivers for the local economy and Johnston County is just becoming recognized for our rural landscapes, historic homes, and vintage downtown street-scapes. Several independent films have been shot in Smithfield, with two recently shot at the County Courthouse pictured above. For consideration of filming projects, the following are examples of outstanding locations for your next project -- we look forward to working with independent producers, low budget or sky&apos;s the limit budgets....just give us a call at 1-800-441-7829. Check out our image library for more shots. Below are several locations in the Smithfield area that have been used or scouted for film projects. Atkinson-Smith House built in 1850 retains many architectural details and beautiful plaster moldings. 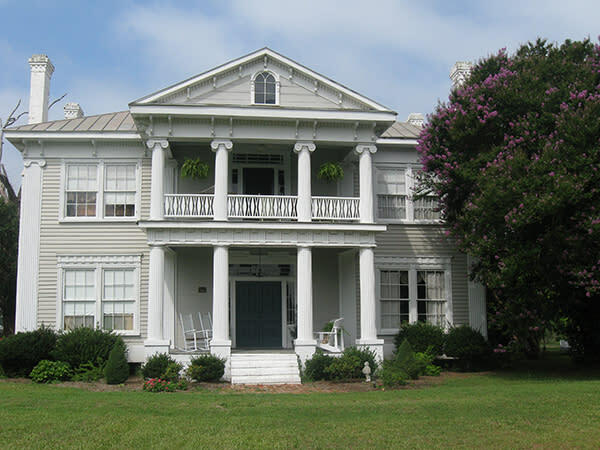 Several grand homes are located in Historic Downtown Smithfield like this with portico&apos;s and mature lawns. 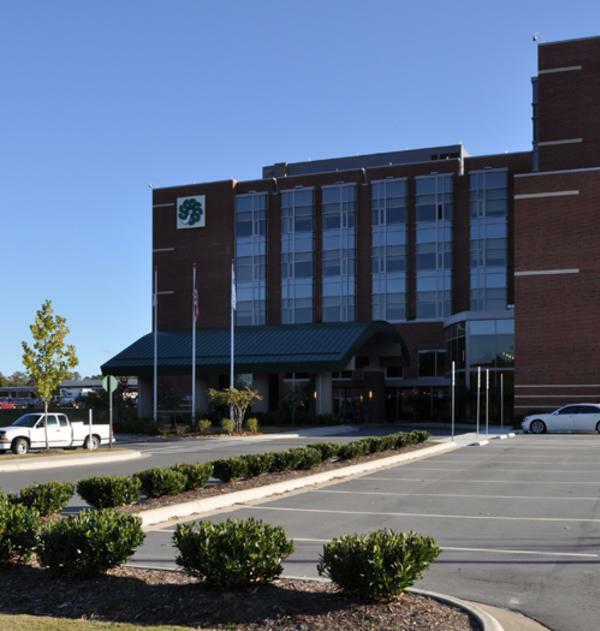 This textile mill has been converted into medical offices, fitness center and meeting space. 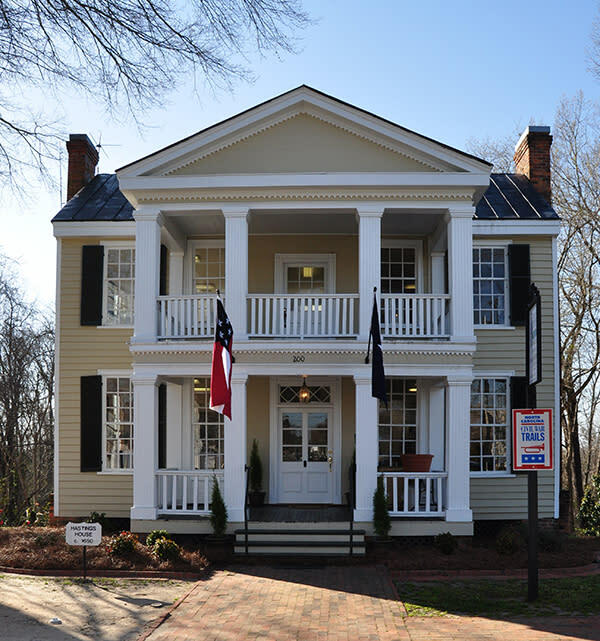 The Historic Hastings House is the oldest building in the town of Smithfield, built pre-1850s and is located along the Neuse River. The new Johnston Health Complex has two floors in the older section available for film projects. 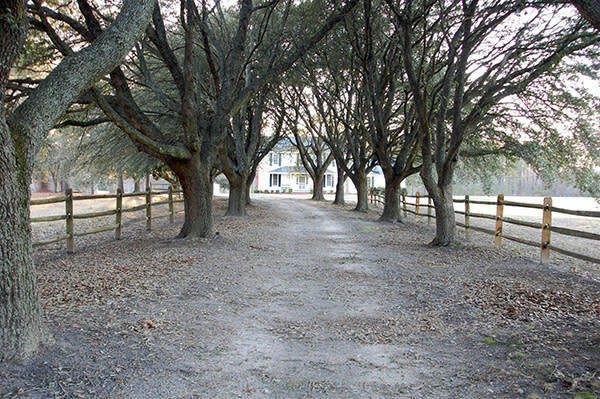 The Smith Farm located just five miles from Downtown Smithfield has this lovely tree-lined driveway leading up to the historic home built in the 1800s.